On February 28, Prime Minister Narendra Modi made an audacious pledge. “I am confident that my dream will come true. My dream is your dream. My dream is with your dream. What is my dream? My dream is that by 2022, when the country celebrates its 75th Independence Day, the income of farmers should double,” he said, adding “Can we do it? Can we take a pledge in this regard, the states, the farmers, we all?” Many years after former prime minister Indira Gandhi’s garibi hatao slogan, Modi’s definitive target to fix the problem of farmers has evoked the same hopes. In the context of the current drought, many find this unachievable. There is fierce academic debate over the ways and means to achieve this. But Down To Earth (DTE) reporters found that many villages have insulated themselves from drought, including the current spell. These villages, located in India’s most drought-prone areas, are beautiful examples in difficult places. They are no more bothered by the performance of the monsoon. In a span of just two decades, these villages, once hopeless, have scripted economic miracles. In a way, they dreamt before the prime minister, and DTE shows the way they made the dream come true. In the drought-ravaged Marathwada, residents of Kadwanchi village in Jalana district are least worried about the drought or the next monsoon. In fact, they were not bothered by any drought in the past 20 years, including the drought of 2012, the worst in 40 years. Rather, as one enters into a conversation with residents, the discussion is about agricultural expansion. And not without reason: in the past 20 years, the income of its residents has gone up by 700 per cent. Kadwanchi is a glowing example of how a well-planned government programme can help in fighting drought and raising the income of farmers. The village has seen a sharp decline in drought vulnerability since 1996, when the Kadwanchi watershed project was launched. At that time, 100 per cent farmers in the village would report crop failure during a drought. The figure in 2013 stood at 23 per cent. All that the farmers did was conserve water and soil and dig farm ponds. Add to it the carefully thought out cropping pattern that suits the district with annual average rainfall of 730 mm. The project, launched under the national watershed programme, was implemented in the village between 1996-97 and 2001-02 with a financial outlay of Rs 1.2 crore. “We did not think much of the work the officials were doing. They constructed bunds and trenches, and planted trees in a piece of forestland in the village to showcase how effective these methods are in fighting drought. These steps slowed the flow of running water, increased seepage and recharged groundwater. They had an impact on the nearby areas as well. Within two years, the wells in surrounding areas started recharging and the soil gained moisture. This compelled us to understand the techniques,” says Vishnu Bapurao, 58, a farmer whose annual income is more than Rs 10 lakh. The project helped increase the total cultivated area in the village from 1,365.95 hectares (ha) in 1996 to 1,517 ha in 2002. Once the water scarcity was over, the farmers started growing grapes, apart from rice and wheat. This required drip irrigation for which farmers constructed farm ponds. These are small ponds dug by the farmers themselves by taking loans from banks. The ponds store rainwater and provide water throughout the year. The village had 357 ponds in 2015. For grape cultivation and pond construction, the farmers received training by the Krishi Vigyan Kendra (KVK) of Jalana, which also oversaw the implementation of the project. Grape farming phenomenally raised the income of the farmers. According to a 2012 survey by the Central Research Institute for Dryland Agriculture (CRIDA), the average annual income of farmers in the village increased from Rs 40,000 in 1996 to Rs 3.21 lakh in 2012—a 700 per cent rise. As per the latest data by the National Sample Survey Office in December 2014, the nationwide average annual income of farmers is around Rs 72,000. Farmers in Kadwanchi earn four times the national average. He is an organic farmer and believes in multi-cropping­—the traditional way to ensure crop security. In 1988, at an age of 35, he decided to help his father in farming their 5 ha. At that time, there was no information available on organic farming in Latur and almost all the farmers were dependent on chemicals and fertilisers. From 1988 to 1993, Badgire also practised chemical farming and realised his crop output was going down while the input cost of pesticides was going up. In 1993, he came across an article on organic farming published in a local Marathi magazine, which set him thinking. After sourcing more information on organic farming and attending a few farmers’ meetings in Pune, Badgire decided to adopt organic farming on his land. Since information was limited, the period between 1993 and 2000 was spent experimenting with rain-fed agriculture and organic farming. He suffered losses, but did not give up. Things started to look up after 2000, as soil fertility increased, and since then Badgire is only making progress. “I do inter-cropping and crop rotation to keep my farmland healthy. In three acres (1 acre equals 0.4 ha), I grow tur (pigeon pea). Another three acres of jowar (sorghum), three acres of moong (green gram), and two to three acres of soybean. While farmers doing chemical farming have seen a sharp decline in their crop output, my output is still high,” claims Badgire. He uses cow dung to make manure for his farm and makes medicine for his crops using cow urine. Because of the drought this year, several farmers in Latur have lost their crops or not grown any kharif or rabi crop. “A neighbouring farmer did not get any jowar from his one acre land; but in spite of the drought, I have got five quintals (1 quintal equals 100 kg) of jowar from an acre. As against an output of one quintal chana (chickpea) from an acre in chemical farming, my output is at least double.” He also has a number of tamarind and babul trees on his farmland which are suitable for semi-arid Marathwada. 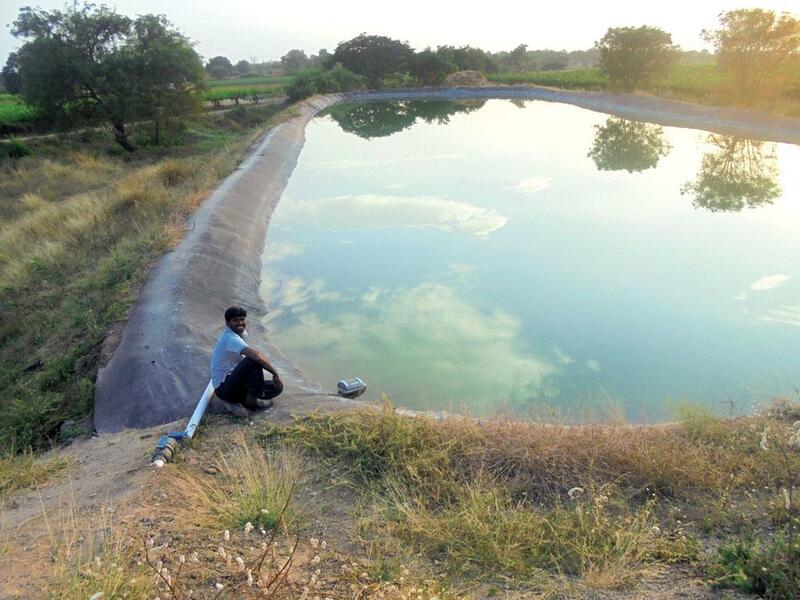 In the Bundelkhand region, a few villages are overcoming consistent drought by innovating. Six years ago, Haldin Patel, a 36-year-old marginal farmer from Majhout village in Chhatarpur district of Madhya Pradesh was struggling to feed his family of five with an income of around Rs 10,000 a year. He had to do odd jobs in Delhi and Jammu and lease out his part of the field to tenants and share croppers. On his 1 ha, he used to spend more than half the cost of input on chemical fertilisers. Things changed when farmers were trained to make organic fertilisers using cow dung, cow urine, neem leaves, water, and gram flour. In March 2011, an advocacy group Harit Prayas funded by Caritas, a Rome-based non-profit, started training small and marginal farmers in making fertiliser. “I was the only person who dared to prepare my own fertiliser in a village of 250 households after the training,” said Haldeen. Though social pressure made him throw the fertiliser in a corner of his field, a little after a month, everybody saw the results. Not only did the ginger sapling mature before its time, it was much better in quality. Today, the cost of production for Haldin has reduced to less than Rs 5,000 and his income has increased to more than Rs 30,000, after integrating cattle with agriculture. Following Haldin’s example, many small farmers opted for organic farming in Majhout and saw an increase in their income. The effect was also seen in adjoining villages. 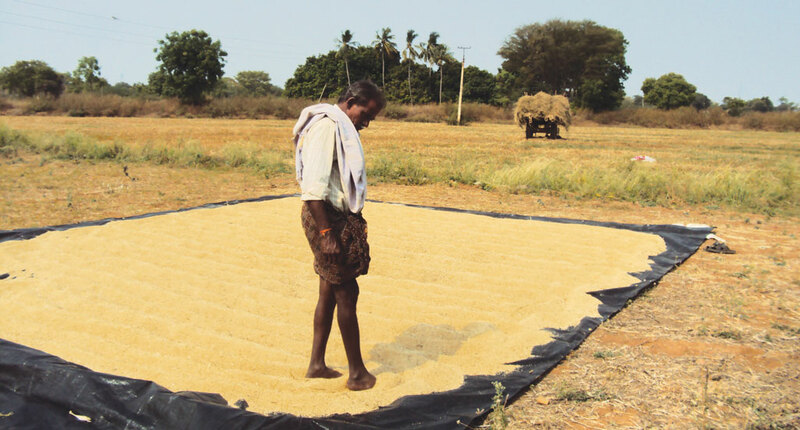 In a tribal village 13 km from Majhout, agriculture had become a loss-making venture. Farmers had to work as labourers in Jhansi and nearby towns. Till three years ago, the village wore a deserted look. Haldin decided to travel with the Caritas team and convince the farmers about the benefits of organic farming. Many people, like Mohan Manjhi, stopped migrating since they started organic farming in Karoundia village in Chhatarpur district. “Everybody now rear their cattle and prepare their own fertiliser,” says 42-year-old Manjhi, who owns 2 ha of land. Though organic farming has its benefits, many factors determine the ease with which farmers can reap them. Lack of fodder and shrinking wasteland and grazing land make it tough for small farmers to make their fertiliser. Many choose not to fully embrace organic farming as it requires time and labour. Those with bigger landholdings or other sources of income also find it inconvenient. But for small and marginal farmers like Babloo Prajapati who own less than half a hectare, it makes a huge difference. Organic farming has enabled Prajapati to save Rs 5,000 to 7,000 every year, which he says he uses for the education of his children. Vinod Pandey, a former national coordinator with Caritas India who started the intervention, says, “There are a hundred adjoining villages where we did not intervene but were still influenced by our efforts.” The initiative has been catching up in panchayats like Bhasaur, Cylon, Kavar, Saliya, Dongariya, Amronia, Lahar, Majgowan, Kota, Tapara and Dharmapara of Chhatarpur district. H K Anandappa, 58, sunk more than 11 borewells in the past two decades in his 2 hectare farmland in Karnataka’s Naikanhalli village. Every time they would run dry in a couple of years or fail to yield water right from the start. Tired and desperate, he nursed thoughts of committing suicide. “In 2008, I was heavily in debt,” he says. A meeting with Maleshappa, a farmer, in 2012 helped him turn things around. Anandappa learnt that apart from drawing water, borewells can help in recharging underground aquifers. 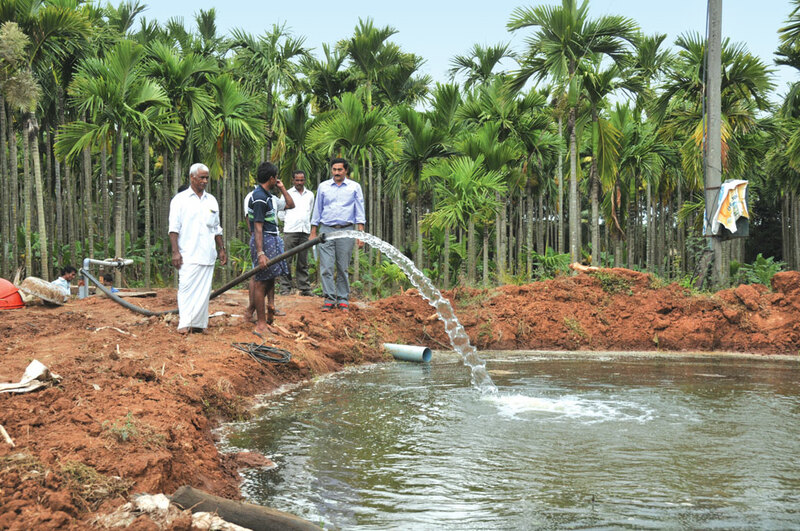 Maleshappa had himself practised this technique in his field in Hulase Katte village after learning about it from Devaraja Reddy, a Chitradurga-based consultant in hydrogeology, during a farming workshop. 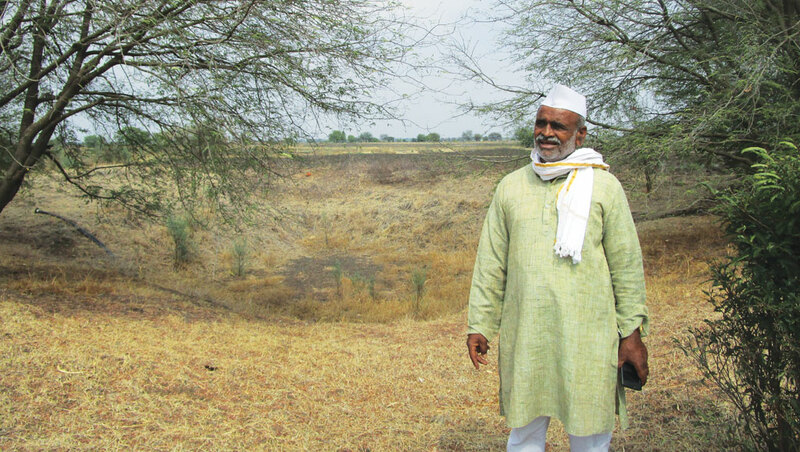 Anandappa dug his 12th borewell in 2012 and used it to pump water into the ground from a nearby seasonal canal. This solved his problem. With a recharged water table, he could now extract water throughout the year. “The idea is to direct surface water to an aquifer through a bore in the ground. Though a simple mechanism, it is difficult to find the right spot for successfully recharging the bore. For instance, the catchment area must be more than a hectare for agricultural purposes,” explains Reddy. Reddy has held several training programmes and workshops in Karnataka and Andhra Pradesh in the past two decades to educate farmers about the method. His clients include state governments, non-profits and individual farmers. The technique has helped Anandappa increase his income eight times. From Rs 1 lakh per year he earned by cultivating coconut and groundnut before the recharge bore, his income has now jumped to Rs 8 lakh. 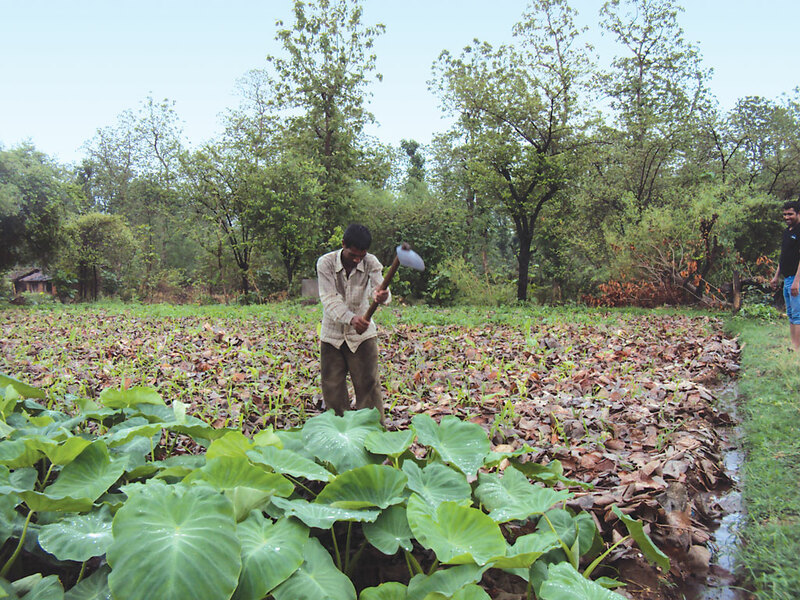 The borewell has helped him irrigate a larger area, diversify crops, and pay off debts. “I now harvest 2,000 coconuts at a time against the 200 earlier,” he says. The method is typically useful for Karnataka, a state that has in recent times been severely affected by drought. As per “State Focus Paper 2014-15”, a report by the National Bank for Agricultural and Rural Development, Karnataka is India’s second most drought-affected state after Rajasthan. Between 63 and 72 per cent of the total area of the state is drought-prone, says the report. More than 1,000 farmers committed suicide in the state in 2015. Although groundwater recharge can improve water security and agricultural productivity in dry and water-scarce regions, its affordability hampers its progress as a tool for drought mitigation. “The question is who will bear the costs of the recharge structures. Basic structures can be built for Rs 30,000, but even this is hardly affordable for those who need such structures the most,” says Reddy. Though there are schemes to build public recharge systems, there are no subsidies for individual farmers. The government-run Krishi Pragati Grameen Bank is the only bank in the country which offers loans for building recharge structures. “KPGB offers up to Rs 20,000 to farmers depending on the size of the farms to dig recharge bores and recharge structures. Of around 2,000 farmers who availed this loan 75-80 per cent returned the loan. The recovery rate in other kinds of loan is 40 per cent,” says M Shivashankara Setty, manager, KPGB, Chitradurga. Now, it is the turn of India’s most drought-prone state, Rajasthan, where livestock is the second survival crop. In a land where water is perpetually in short supply for human consumption, water to grow fodder for cattle is a luxury. But every family in Chhapariya village is assured two tonnes fodder every year. This is because of a common pasture land which a non-profit developed to help the villagers cope with five consecutive droughts it faced from 1999 to 2004. During that period, almost all of the 100-odd families of the tribal village in Udaipur district were forced to sell their cattle or see them die due to fodder shortage. More than 60 families were indebted to private lenders because they were not considered credit worthy by government institutions and were paying as much as 40 per cent interest. In 2003, Udaipur-based non-profit Sahyog Sansthan, decided to develop the common grazing land. The land was severely degraded by soil erosion, drought and overuse. The non-profit asked the residents to allow them to develop about 52 ha of the 80 ha village common land. No one was supposed to let their cattle graze in these 50 ha for six months. The non-profit constructed furrows to arrest the flow of water and retain moisture, built a boundary wall and posted a guard for security. About 4,000 saplings of bamboo and 30 kg seeds of Cenchrus setigerus (dhaman) were also planted. The greening was done in two phases. In the first phase, 39 ha in 2003 and remaining 13 ha in 2004. About 28 ha was left open for grazing and movement of animals throughout the year. In developing the grazing ground, a total of Rs 47.5 lakh was spent. The district rural development agency of Udaipur, England-based non-profit Wells for India and village residents contributed 45, 39 and 16 per cent respectively. Villagers contributed mostly in the form of labour, says Hiralal Sharma, head of Sahyog Sansthan. Once the land was ready for use, it was divided into 10 parts which were then used by the 10 hamlets the village consists of. The hamlets further distributes the land. The 10 pieces of land are used in rotation to ensure that no hamlet is stuck with the same piece of land for consecutive years. The initiative has seen remarkable results. According to Sahyog Sansthan, the income of the village from grass grown in the common land has risen from Rs 37,500 in 2003 to Rs 84,000 in 2008. The wood grown in the land is also used as fuel. The total wood collected is divided equally among the families. In 2012 and 2013, each family got 650 kg of wood. Apart from developing the grazing ground, Sahyog Sansthan renovated old wells, constructed irrigation channels, introduced soil and water conservation measures and rain water harvesting to help the village residents. In 2005, the non-profit completely withdrew from the maintenance of the ground. Now the village residents are solely responsible for the upkeep. In the past 13 years, the lives of farmers in seven districts of undivided Andhra Pradesh have changed in a big way. They are not only able to cope with drought-like conditions but also grow crops which assure yield and generate higher income. In 2003, the Food and Agriculture Organization (FAO) of the United Nations launched a groundwater management programme called Andhra Pradesh Farmer Managed Groundwater Systems in seven most drought-prone districts, two of which now fall in Telangana. The training given to farmers in groundwater management by FAO and local non-government bodies has enabled them to make feasible and informed decisions about which crops to grow depending on water availability. “Previously, I used to flood the field whenever water was available but the training made me understand when and how much to irrigate,” says G Venkata Konda Reddy, a 52-year-old farmer. Under the project, farmers are trained in data collection, soil types, lithology, irrigation systems and water-saving techniques like drip irrigation, mulching, and furrow-irrigation. Besides training, various structures are set up like check dams, percolation tanks and injection wells. A committee of villagers, panchayat members and hydrologists collects the information about intended cropping patterns and calculates water consumption based on acreage. The resultant groundwater deficit or surplus is then estimated. Farmers use this information, illustrated on walls of the village, to plan their crops in an exercise called cropwater budgeting. In case of severe water deficit, they advance sowing and opt for diversified cropping. The programme has had other effects. By the late 1990s, an increasingly large number of dug wells fell dry or became seasonal. But today, there is substantial reduction in groundwater usage. According to a 2010 World Bank survey of eight hydrological units in the project area, six reported a reduction under high water use crops. The area under high water use crops in Yerravanka decreased by almost 11 per cent from 2004-05 to 2007-08, whereas the area under the low-water-use-crops increased by roughly the same amount. Modi made his strategy clear to achieve the fixed target through a seven-point charter: focus on irrigation; provide quality seeds and increase soil health; avoid post-harvest losses by building warehouses and cold chains, add value through food processing; have a single national market; provide crop insurance coverage; and add ancillary activities like poultry to farming. But these initiatives are not new. The villages have already adopted what Modi proposed. The only differences are in the way these villages implemented the change and the principles behind them. While Modi identified activities to increase the income, the villages have focused on local planning and the involvement of local communities in development. These villages, which have successfully generated employment and livelihoods from local resources, have followed a common road to prosperity. All the villages have defined their poverty as lack of access to natural resources. One can call it ecological poverty. Thus, their primary aim has been to gain access to local resources like traditional tanks and ponds or the common grazing land. Secondly, community organisations have efficiently partnered with government and non-government organisations. This common road has two major roadblocks as well. Government agencies, the biggest funders of rural development, working with a conventional notion of poverty don’t see community initiatives as a viable model of employment generation and poverty eradication. Consequently, government policies are not tuned to the local scenario, making all the efforts futile. While many factors helped bring changes in these villages—involving voluntary organisations, committed individuals, and government grants and loans—the most important common factor was the key role played by local institutions like community groups and village panchayats. The pertinent question is: how to learn a lesson from these villages and scale up initiatives at a national level to increase the income of farmers. Modi has the instrument in the Mahatma Gandhi National Rural Employment Guarantee Act (MGNREGA), which recently celebrated its 10th anniversary. The employment programme has all the required elements to replicate the above examples: it mandates the village council to plan; it has a provision of five-year plan for villages; it mandates the creation of structures relevant to local farming and water security; and more so, MGNREGA has the required funds to carry out the tasks. In the last decade, MGNREGA has created unprecedented 12.3 million water conservation structures. So, why water scarcity in drought-hit states? Close to 60 per cent of water structures are in the 10 states reeling from drought. It is a problem not with MGNREGA but with the way it has been implemented. As in Bundelkhand, hundreds of structures were created but with scant regard for local ecology. So, most of the structures failed to do their primary work: capture rain water. The programme, if not designed for long-term development, will lead to sheer wastage of public money. 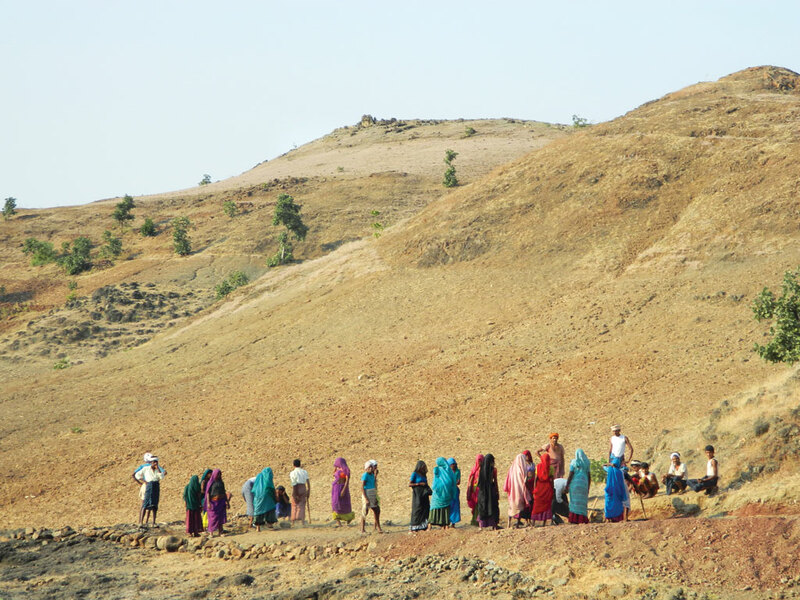 MGNREGA can meet one of the toughest challenges of India’s drought management. A study of India’s drought management approaches over the last several decades shows that India largely depended on crisis management. This is despite the fact that over a period of time there have been gradual changes in our approach, at least officially. After the 1966 drought—a situation similar to the current one—government drought management approach changed from ad-hoc crisis management to an anticipatory drought management. In the early 1970s, the Drought Prone Areas Programme (DPAP) and the Desert Development Programme (DDP) were implemented to revive the ecology in hot and cold deserts. The drought in 1987 forced a shift in the focus of the government to long-term measures such as watershed development approach for drought-proofing the country. Many of the above successful examples have adopted this approach. DPAP and DDP were redrafted to make watershed development a unit of the drought-proofing initiative. 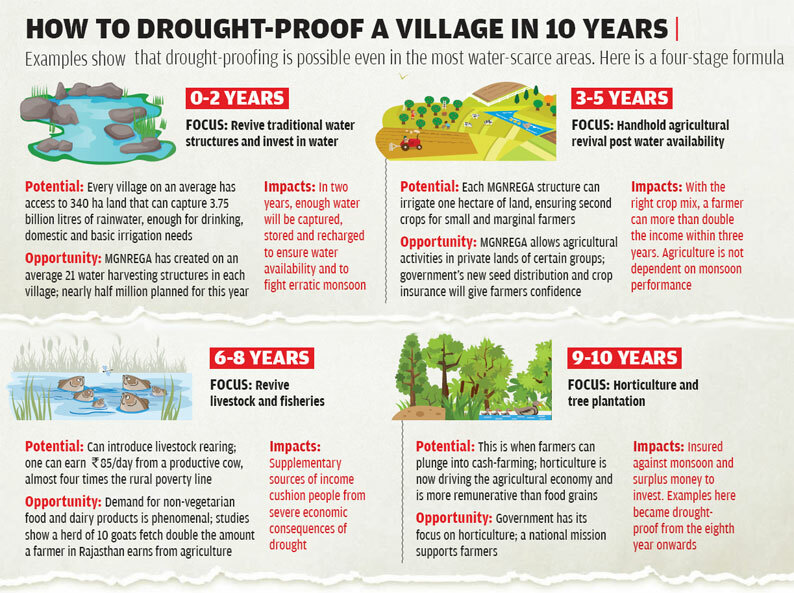 The drought in 2002 finally prompted policymakers and development practitioners to account for the fact that drought was perpetuated by human-induced factors such as neglect of water harvesting capacity. Since then, rainwater harvesting—specifically, the revival of traditional systems—has been given priority in drought management. All of these changes have been factored into MGNREGA and given a legal stamp for effective implementation. It is not deficit monsoon that triggers drought but the lack of mechanism to capture rainwater. Most of the above villages have done precisely that. With just 100mm of rainfall in a year, that is, around one-tenth of the country’s average rainfall, India can harvest a million litres of water from one hectare of land. Applying the same calculation, rain captured from 1-2 per cent of India’s land can provide its people as much as 100 litres of water per person per day. The water structures created under MGNREGA—21 structures in every village till now— are the best instruments to ensure that Indian villages become drought-proof. These structures harvest water and recharge the groundwater. Going by the types of water structures created, each of these structures can irrigate one hectare of land. The average cost of irrigation per hectare using these structures come to around Rs 20,000. This is a sharp contrast to government of India’s estimate of Rs 1.5-2 lakh/ha based on canal irrigation. MGNREGA has been effective in mitigating drought. This was evident in 2009, when poor and marginal farmers in chronic drought-prone areas were more prepared than the state government. It is time, we rejuvenated the programme to drought-proof the country. I do not think that the Drought Prone Areas Programme or the Watershed Programme in the mountains at least can be cited as "successful". Does anybody have an idea where the lakhs of crores spent on the IWDP have disappeared, before MNREGA kicked in? In fact we have not learnt the 'right' lessons from these very expensive and leaky exercises. And, the big lesson is that the thrust / centre of Drought Proofing should not be government controlled, but lie with the people and preferably managed by civil society organisations. While Government has the money, it usually does not have the 'right and upright' officials to pull off such programmes. There is need for developing an integrated policy of land use(priority to be given for water conservation over built up structures over the land), agricultural practices and forest management. The important issue is that catchment areas need to be used and managed so that water falling in the ground can be conserved as far as possible including construction ponds,making of earthendam where everpossible etc for holding water. .Similarly in forested catchment should be managed in such a way that water conservation in fullest extent possible(there should be adequate ground cover and humus in forest floor),plantation forest to be created with mixture of species and multi-layered.Practice of traditional agricultural drought resistance crops,practices of drift irrigation and production organic matter from biodegradable wastes to be used to increase water holding capacity of soil. There should be policy of economic water use and penalty for misuse etc.for that proper monitoring to be carried out.